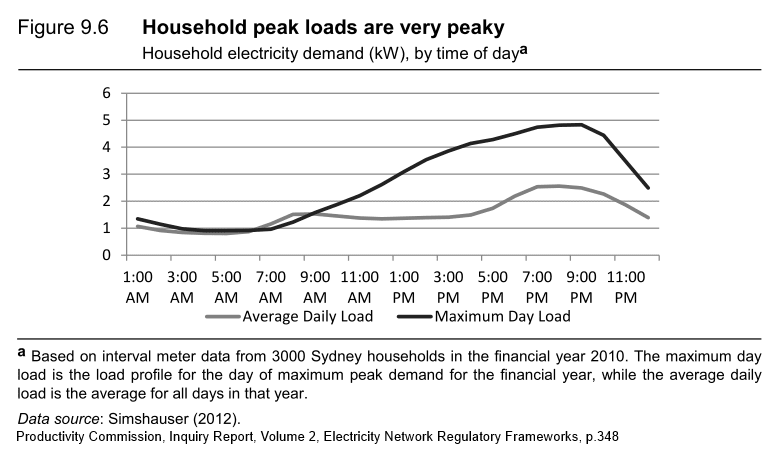 Australia ran an expensive experiment to encourage investment in electricity generation and distribution capacity to ensure supply on a few days of the year when demand is at a maximum. 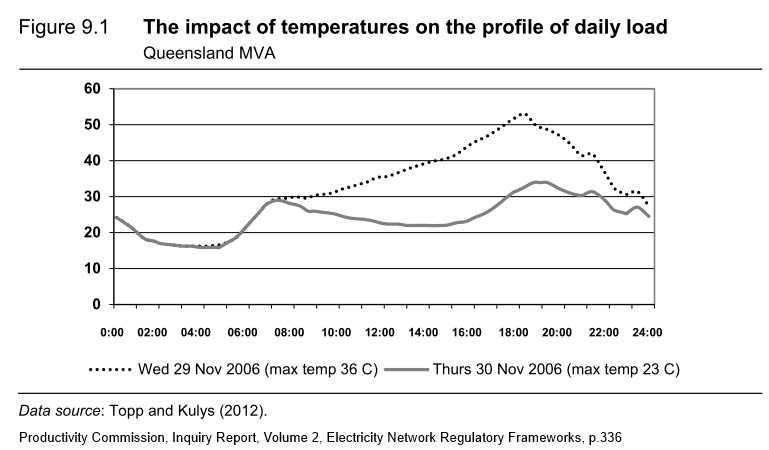 Electricity demand on the hottest days in summer is about double the average electricity demand on other days. To encourage investment in capacity that is idle on all but these few extremely hot days each summer, a very profitable incentive was created. State-owned electricity generators and distribution network operators that were able to borrow $billions at discounted interest rates were guaranteed a high rate of return on every dollar they could spend. The inevitable result was excessive and extravagent spending. It is commonly known now as "gold-plating". 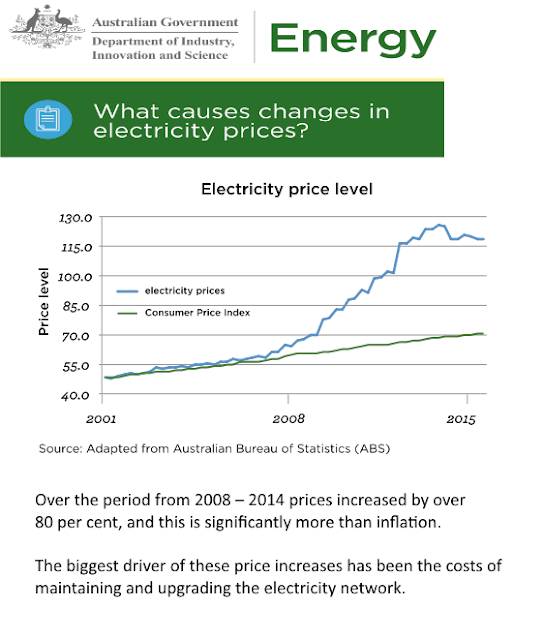 As an aside, it is sometimes misunderstood that switching from coal-fired power generation to low-emission electricity generation increases prices. 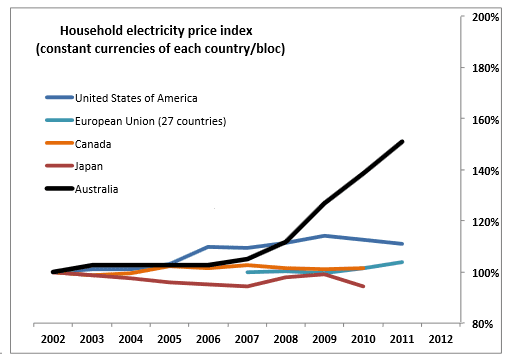 Note that the US maintained low electricity prices while making rapid progress on replacing coal-fired power stations. 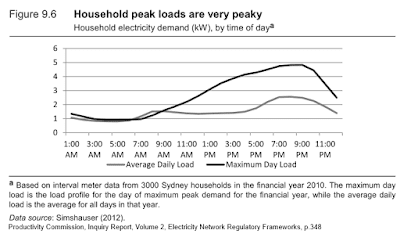 Technology is available to solve the problem that Australia created with these incentives to spend up big on electricity generating and distribution capacity that is planned to be idle on all but a few of the hottest days each summer. 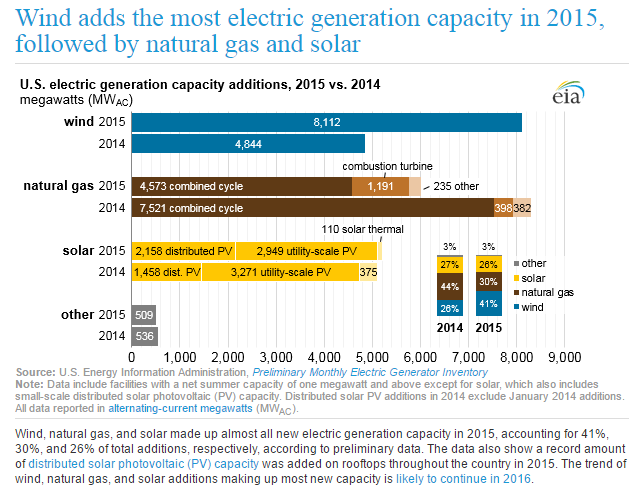 Distributed power-to-gas plants can convert the surplus electricity into renewable natural gas. This can be fed into the existing natural gas distribution lines to flow upwards to liquified natural gas plants for export. 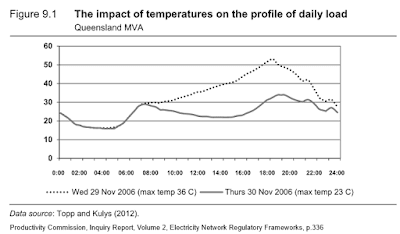 On the few occasions each year when electricity demand is exceptionally high, as many distributed power-to-gas plants as required can be reversed within a few minutes to generate electricity from natural gas stored in the natural gas distribution lines. Renewable natural gas produced from farm and urban waste can be fed into the natural gas distribution lines and, where carbon dioxide has been separated from biogas, it can be piped to power-to-gas plants that combine carbon dioxide with hydrogen to produce renewable natural gas. Australia is in the fortuitous position of being able to use renewable energy for 100 percent of its electricity supply, 100 percent of its transport energy and 100 percent of its energy exports.